I am so excited to FINALLY share an upcoming event that has been in the works for a long time…. It’s all online so you can participate no matter where you live!!!! Everyone loves BINGO–especially when you can win some awesome Stampin’ Up! products!!! $35 in Stampin’ Up! Products!!!! 4 Bingo Games with over $100 in prizes available–these will be live on facebook!!!!! 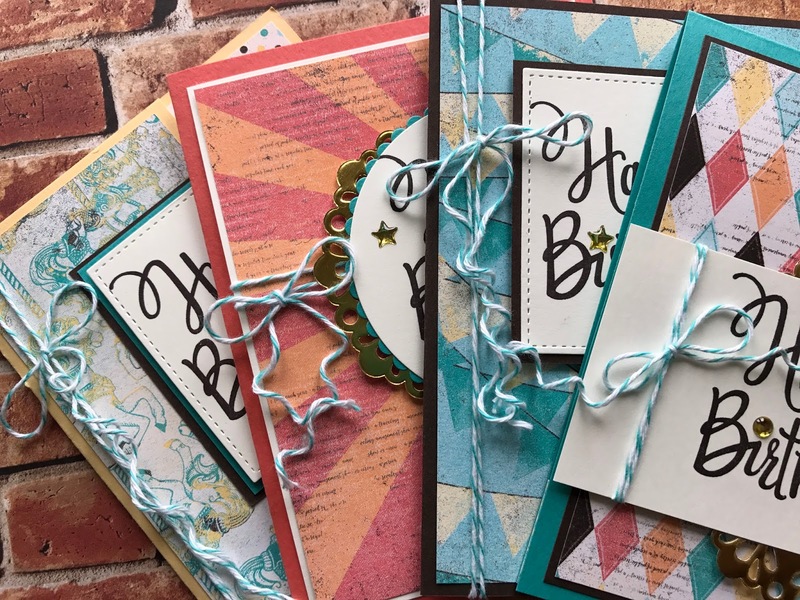 Samples of other cards you can make with the products you get! Cost is just $49 for all of this!!! Includes: Products, Make-n-takes, Shipping, and chance at great prizes! SPACE IS LIMITED and registration will close when full! (with blog update the original “button” disappeared. SPECIAL BONUS–This is a ton of fun to do with friends! Gather a group of 4 of your friends and your registration WILL BE FREE! Contact me for how to register everyone! I really love these and I have this stack of paper could you send me the instructions on how to make them.